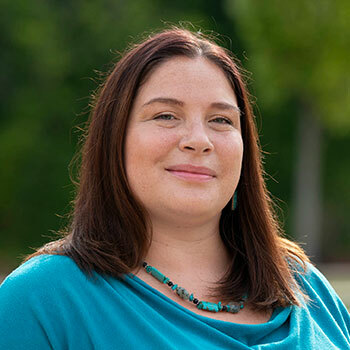 Melissa Ireland is the manager of Indigenous Student Services, a Laurier alumna (MSW '17), and Curve Lake First Nation member. There are many kind of leaders and many different gifts among people. For me, a large part of my work is helping others to recognize their gifts, ignite their passions, and once they establish confidence in those gifts, create opportunities where leadership is expressed naturally. Focusing what I stand for instead of focusing on what I stand against. I feel supported in my work supporting others. Having an opportunity to be contributed to just as much as I get to contribute to others. I’ve grown and experienced so much thanks to my connections with the university, just as much as I’ve given. Many of the relationships I’ve made will be lifelong connections.